To change your life, or to change someone else’s, sometimes it takes just one chance, one opportunity. In my case, that opportunity came when I was 16 years old. I left my neighborhood, Aboabo, in my hometown of Kumasi, Ghana to come to the United States of America. The objective was clear: receive an education and play basketball. However, it didn’t take long for my 16-year-old self to have a sort of epiphany. Our quality of life in Ghana is not complex. We are happy. We find happiness and fulfillment in simple things. I was proud of my heritage and where I come from, but the differences in the lifestyles were stark. In the United States, we have access to so many things, so many opportunities, and resources. I had access to opportunities and resources previously unimaginable, and my mission here in The States became more and more clear. My goal was to use my education and tools provided to me to enhance the lives of those I left behind. That was 10 years ago. I founded The Salih Self-Development Center, a non-profit 501c3, in 2009 and it was incorporated in 2011. 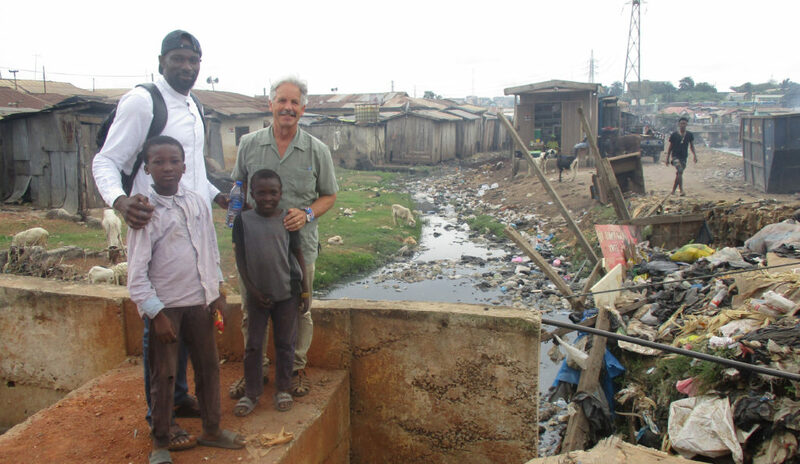 Last week I had the opportunity to return, for the first time, to Ghana. I began in Ghana as I ended. The first phase of my 9-day mission was a basketball clinic. I met with my former basketball team to help the new players enhance their basketball skills and share my experience as a former student-athlete. I answered questions about using basketball as a means to an end, and how, for me, getting a quality education was always a top priority. We talked about what it takes to become a good teammate and the importance of sportsmanship. I stressed that determination and work ethic were key components to my success in the US, on and off the court. Thanks to Hood College Men’s Basketball Coach, Chard Dickman, who provided us with jerseys to give out to the players, the team is now able to look like the cohesive, organized unit that they try to play like. The second phase of my mission was a Community Health Clinic where about 120 patients came to receive medical treatment. The patients were examined for symptoms of hypertension and diabetes and were also provided with health education. Dr. Tayo Awatunde of Columbia, Maryland spoke about risks factors, creating healthy lifestyles, how food choice is critical in maintaining good health; broke down what high blood pressure and diabetes are, what they mean for the body, and how to combat them. We distributed multivitamins, ibuprofen and prescription medicine for high blood pressure and blood glucose. Because of the continued support of donors, in addition to health screenings and educational literature, we were able to provide reading glasses to those in need. Community members were asked to bring any prescribed medication they were already taking, and they were advised if the new medications could be taken in conjunction with the old or not, and in many cases, the old medication was replaced. Before concluding our trip to Ghana, I felt it necessary to document one of the foundation’s longest operating projects. 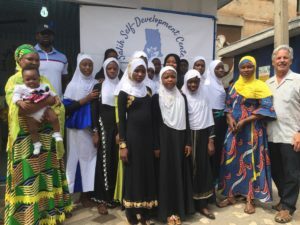 The sewing center run by The Salih Self Development Center vocational training program currently serves 12 students learning sewing skills. During our visit, the students spoke about the importance of learning a trade or vocation, and in their case, to sew clothing. Some students related how positive their experiences have been in the environment created by the SSDC Sewing Center. We saw the culmination of these experiences in the beautiful designs of clothing made by the students. 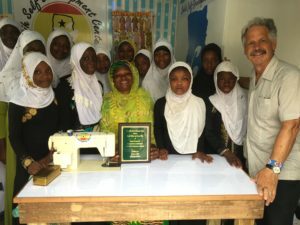 In 2016 through community contributions and corporate sponsorship, we shipped about 40 sewing machines to support the efforts of the center. We are currently looking to form a partnership with a university or fashion institute to further enhance the scope and impact of this program. We are pleased to share that construction of the new sewing center is underway, which will allow us to accommodate more disadvantaged children who are interested in learning sewing skills. The question of what qualifies as a life-changing opportunity – or even how to identify something like more than an expected, inevitable, subsequent change in one’s life – is dependent on a person’s view on life. The fact of the matter is that I’m a young man who lives a simple life. I graduated college and got married, and now I’m working to provide for my family. These things would most likely be true had I stayed in Ghana; however, the one opportunity to come to the United States empowered me to not only provide for my family but also to plant seeds of hope and opportunities for others. I give you the example of Kingdon Gould, the founder of Glenelg Country School in Columbia, Maryland and my mentor. When I was injured in college and lost my basketball scholarship, he stepped in and paid my tuition, allowing me to continue my studies. He told me not to thank him for this huge, incredible gift to me, but to use what he had provided me to go on and serve other people. I believe that as people the greatest show of gratitude for the opportunities and tools with which we have been provided is to use these resources to create more – more opportunities, more resources, more avenues for others to go forth in this world. 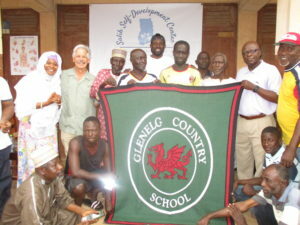 From the single act of choosing me to come to the US as a 16 year old boy, to sheltering me, supporting me in receiving an education, and the numerous acts of kindness that I have received in the past 10 years; each person who has supported me and who continues to support me and The Salih Self-Development Center, are capitalizing on a single opportunity that came to me 10 years ago and that continues to shape and changes numerous life. Each act has in fact been a seed that has grown into a tree which continues to bear fruit and serve, even in the smallest way, in the collective effort to sustain a people and an entire community. Each act has been a seed that grows to bear fruit and in turn, another seed was sewn. The projects and programs offered by The Salih Self-Development Center are indicative of this fruit-bearing tree that is a single opportunity. I did not have the chance to return home again until after 10 years. Yet, I had the opportunity to get an education, work with an amazing board of directors for SSDC, and meet dozens of people aware of their own access to opportunities and willing to help create resources for less privileged communities through contributions to and support of this organization. I look forward to returning to Ghana more frequently in the future to expand our efforts to provide resources to my hometown. I know that the work that we are doing has an impact on both an individual and societal level in this community. I know I couldn’t do this work without the continued support of donors and benefactors, and I thank you for seizing the opportunity, each time it arises, to change someone else’s life. Thank you so much and look out for more info on our upcoming projects.